The choice of where to purchase your morning coffee, for many, is an equation formulated by equal parts good coffee and the people that serve you. That said, when you are in a rush and just want good coffee, sometimes the long wait can be tiresome and stressful. In San Francisco a new coffee shop called Cafe X is offering a seamless, quick experience by replacing human baristas with robotic ones. 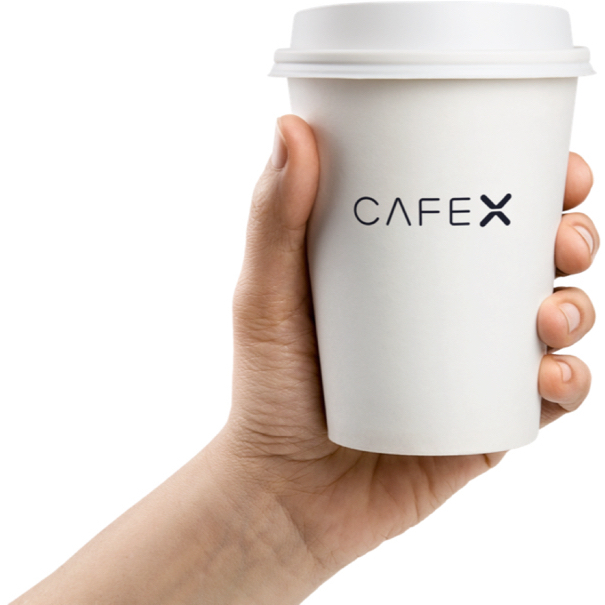 Cafe X, an automated coffee shop located in San Francisco’s Metreon Shopping Center, allows you to place an order on your smartphone or an iPad located at an in-store kiosk. The shop is something in between a cafe and a vending machine: it is outfitted with two WMF espresso machines that use three different coffee bean options from local roasters, organic milk and the option of add-on features like syrups to make your drink just the way you like it. Each drink is served in an eight-ounce cup and costs between $2-$3. Cafe X isn’t the first automated food and beverage service in San Francisco, last year Easta, an automated restaurant, arrived in the city serving robotic-prepared meals that customers pick up from small pods when ready. Cafe X sends customers a text message when their drink is ready with a four-digit code that you enter at the kiosk to get your drink. The code is unique to each drink, taking away the common worry that a barista didn’t hear your order correctly, which is a frequent feeling for busy coffee shops. While the coffee-making process is completely controlled by robots, the Cafe X experience isn’t completely void of human interaction. There is one employee on hand beside the kiosk that can help with ordering or offer drink suggestions. While Cafe X is another step toward an automated future, the opportunity to meet friends, read a book, or work on your laptop in a comfortable atmosphere is something coffee shops around the world provide and there is little evidence that this type of experience will have decreased demand in a robo-retail world.